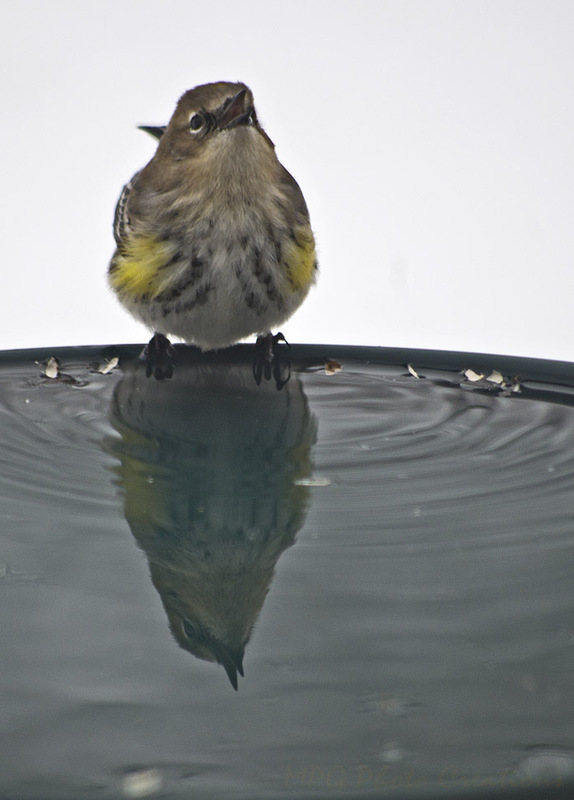 This is a little Yellow Rumped Warbler that I was able to capture while it was getting a drink from the bird bath. I thought it was cute the way it would raise it's head way up to swallow the water. I took this mainly for the reflection originally.